With the festivities just around the corner, we're ready to show you what's in store for this holiday season! Santa needs your help spreading some Christmas cheer in a brand new quest chain - but keep your wits about you: there seems to be some mischief abound! If you've read the Sneak Peek we released a few weeks back, you'll already be familiar with the new Versed Geologist and Christmas Market. There's plenty more to find in your stockings this year, so read on to get to the bottom of it before you play with all the new toys. Take a ride in our feedback sleigh across our scenic forums. Last edited by BB_Saqui; 13.12.18 at 12:11. Presents represent the event resource. They can be used to acquire special items from the event shop. Your presents are listed in the "Event" tab of your storehouses. Bells, Candy canes and Gingerbread. Did you miss them? 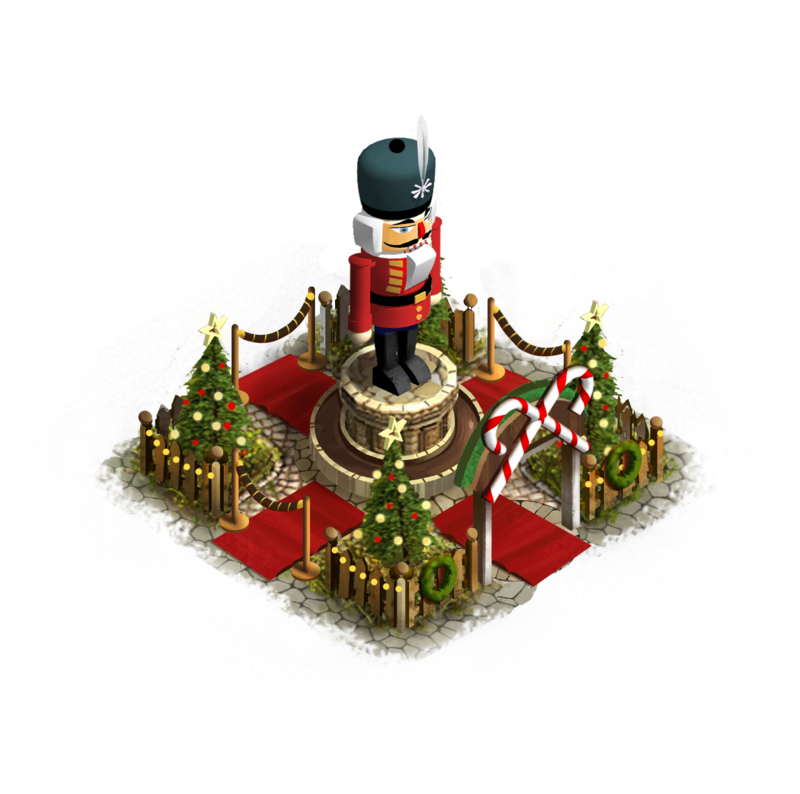 These Christmas collectibles will spawn on your island until the removal phase of the event. 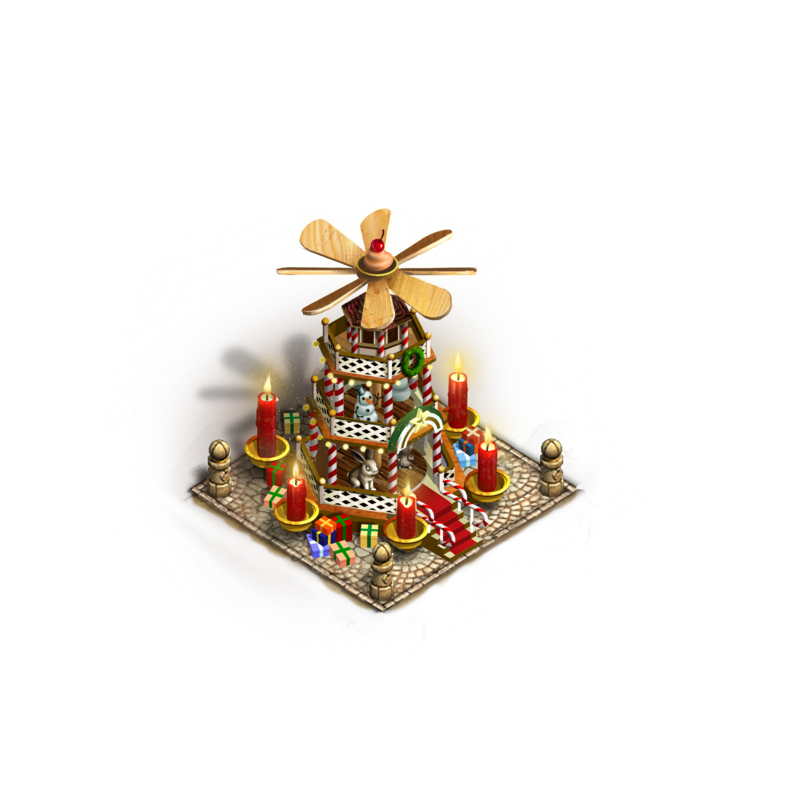 Nine collectibles will spawn with every spawn cycle, randomly chosen between bells, candy canes, and gingerbread. All of them reward exactly 2 resources when clicked. Please be aware that for the full number of collectibles to spawn, the whole (main) island has to be claimed. 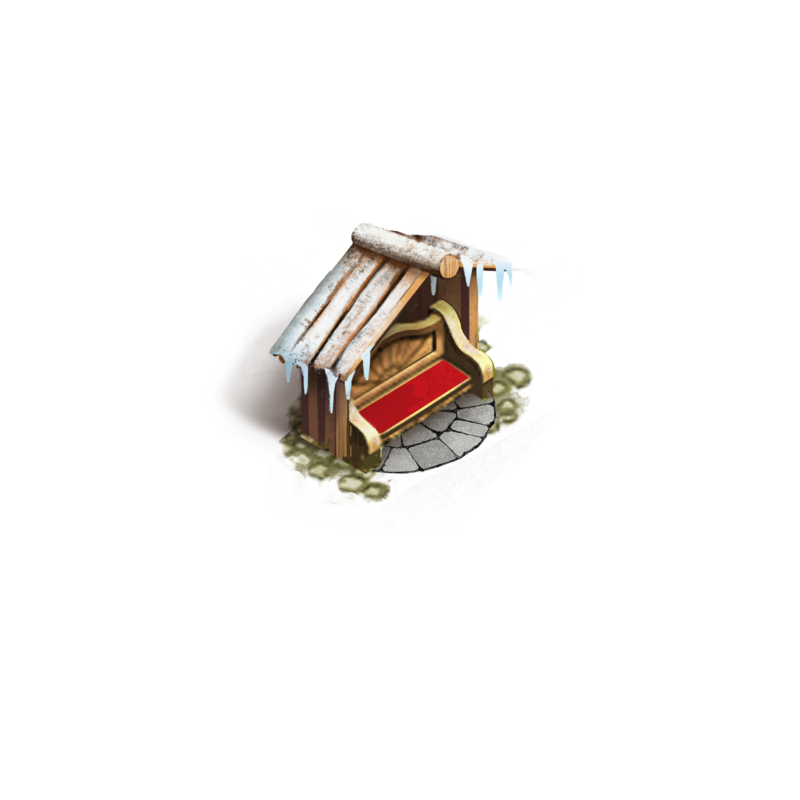 The Christmas collectible items can be converted into Presents in your Mayor's house until the removal phase of the event. 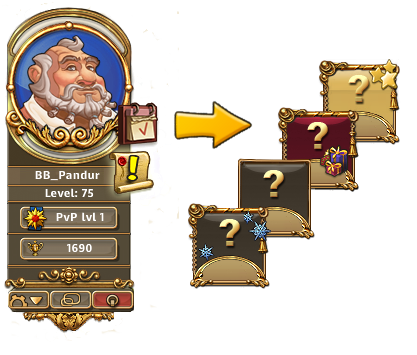 Trading is possible until the removal phase of the event as well. What makes Christmas Event so special? Why... the Event Calendar, of course! Isn't it nice to receive a gift each day, just by clicking on a door? To open the Event Calendar interface, simply access the Calendar icon next to your avatar. You can open a door each day. In total, there are 21 of them. The calendar will display the time left to open the current day's door. This year, we've shuffled around the Event Calender Doors to make more sense thematically with Christmas itself. Therefore, the highly-rewarding "Celebration Day" doors will be on the 24th and 25th of December. While these special doors will remain a mystery until you get to open it, we'll give you a sneak peek through their keyholes and see what precious presents await on the other side! 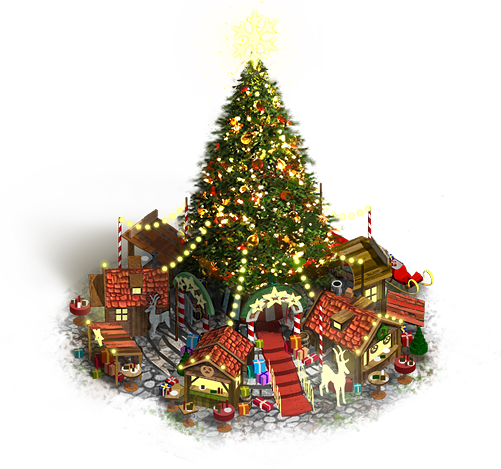 Brand new this year is the Gift Christmas Tree, which you can not only buy from the in-game shop but also find it behind a special door this year; remember - rewards obtained from the Calendar do not contribute to the usual shop limits! 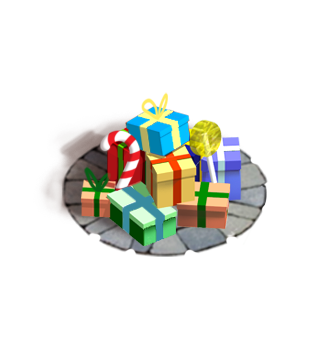 Once placed on your island, you will be given a quest that demonstrates how it works: every 7 days you will be able to click on the tree to receive a free gift! This gift is drawn from a pool of prizes, including fill deposits, collectibles, resources, buffs, adventures and mini-adventures. What's available to you will depend on your level range. Having additional trees means additional gifts every week! Here's how the prizes are determined: think of the Gift Christmas Tree as giving you a ticket to a tombola. Every individual prize has a certain number of tickets assigned to it, giving it a higher or lower likely hood of being the prize that's picked. As an example, say Prize A has 100 tickets, whereas Prize B has 50 tickets. This would mean there are 150 tickets total in the pool: Prize A would have a 66.6% chance at being picked, whereas Prize B would have a 33.3% chance (2:1 ratio). Please note: Prizes (Item Amount) coloured in "grey" will be halfed before level 26. But that's not all: the Gingerbread Storage is also part of the Calendar - this is a 3x3 size building, but don't let its small stature fool you: it has a capacity of 18,000! 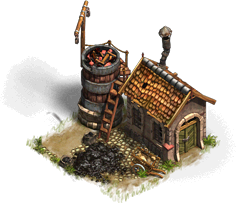 While it can't be upgraded, it does make it a perfect candidate for a storehouse you can move around very easily! Description: Provides a free gift every 7 days. Recurring: Tearing it down will return it to your Star Menu. 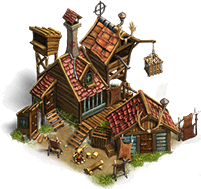 Description: A small but highly efficient storehouse for resources. 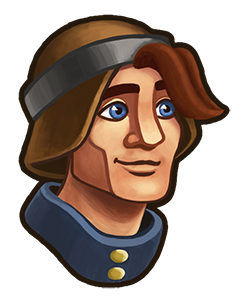 This year's Merchant brings along two new specialists to our islands: the Versed Geologist and Candid Explorer! The Versed Geologist is a "jack of all trades" geologist when it comes to finding bigger deposits of any kind, while doing it in half the normal time. He also has a chance at finding an additional deposit to boot! Meanwhile, the Candid Explorer brings back four times as many rewards when sent on any treasure search. Jackpot! He finds 50% bigger deposits in half the normal time, and has a 50% chance at finding an additional deposit. Works on all deposits! He doesn't have any bonus to speed, but finds 4x as many rewards from any kind of treasure search! Her special trait increases the XP gained from enemy units defeated by her army by 100%. Travel time: Reaches adventures in 2 minutes. Takes 90 minutes to return home. 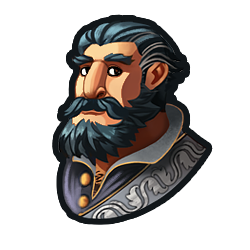 The Event category at the merchant offers a broad variety of special items: the buildings available for presents are listed here, and the recipes are posted here. All event shop offers are available until the final event deactivation. Effect: Converts 250 Intermediate Paper into 50 Advanced Paper. You'll also be pleased to hear that we've updated our "Improved" Christmas Surprise to include the brand new Improved Floating Residence! Last edited by BB_Saqui; 07.12.18 at 15:05. 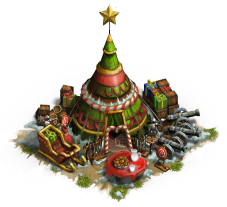 This year features a new quest chain that will see you helping Santa build something truly special for your settlers and their holiday cheer! 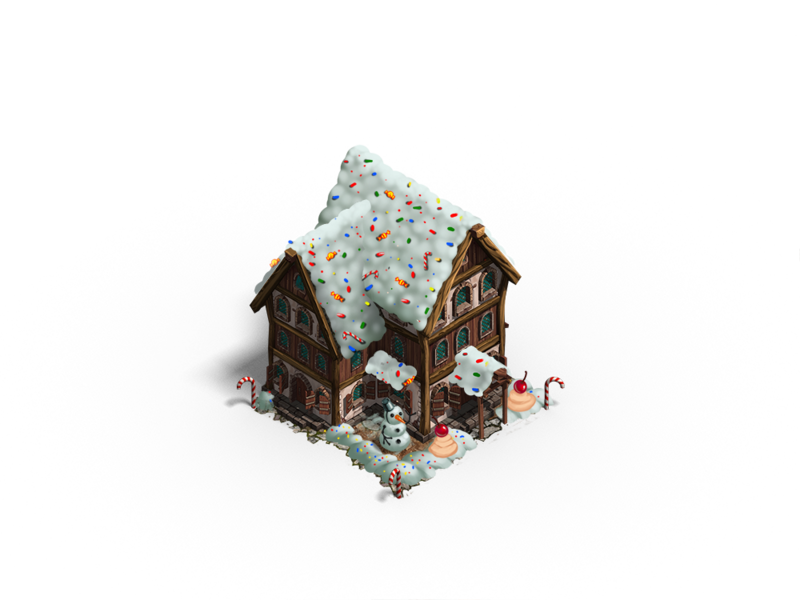 Description: Help Santa bring some festive fun to your settlers and be rewarded with your very own Christmas Market building, once you have also completed its companion chain "Winter Wonderland". We purposefully removed the move-cost of the Christmas Market while it's at level one. 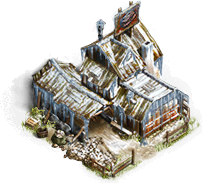 We know many of you will want to maximise its efficiency, so this lets players try out and test different placements for the building before they beginning to commit to upgrading it. It should be noted that the Christmas Market will lose any upgrades it possesses if it's demolished and returned back to the Star Menu; we've added an additional confirmation box to prevent any unfortunate mishaps! 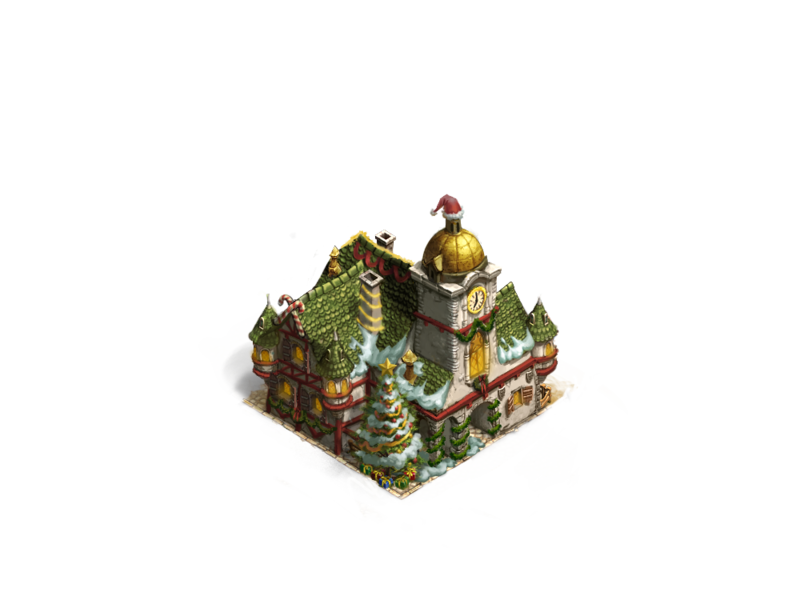 We're also going to be adding a new skin to the game sometime after the event has ended, which transforms your Christmas Market into a more traditional market look. This gives you the option to keep the theme of your island to your liking: festive or not! 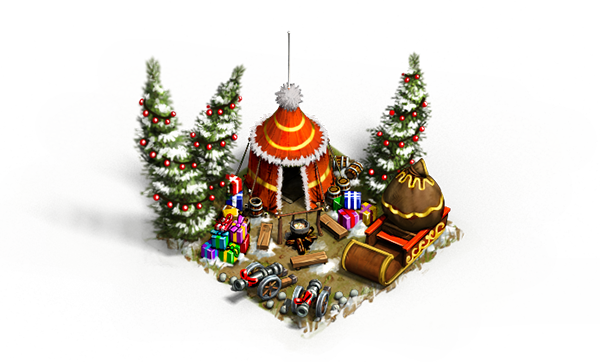 Presents: While the buff adventures will provide you with Presents during the event until deactivation, the two Combat Christmas Specific Adventures will only have a chance of providing you with Presents. If you play them after the final event deactivation (see deactivation steps) they won't provide Presents anymore. Description: The Croaker has stolen all the presents. Defeat the Croaker and retrieve the missing presents. Description: The Christmas Feast is in danger. The Croaker has stolen Santa’s sleigh. It is up to you to get it back. 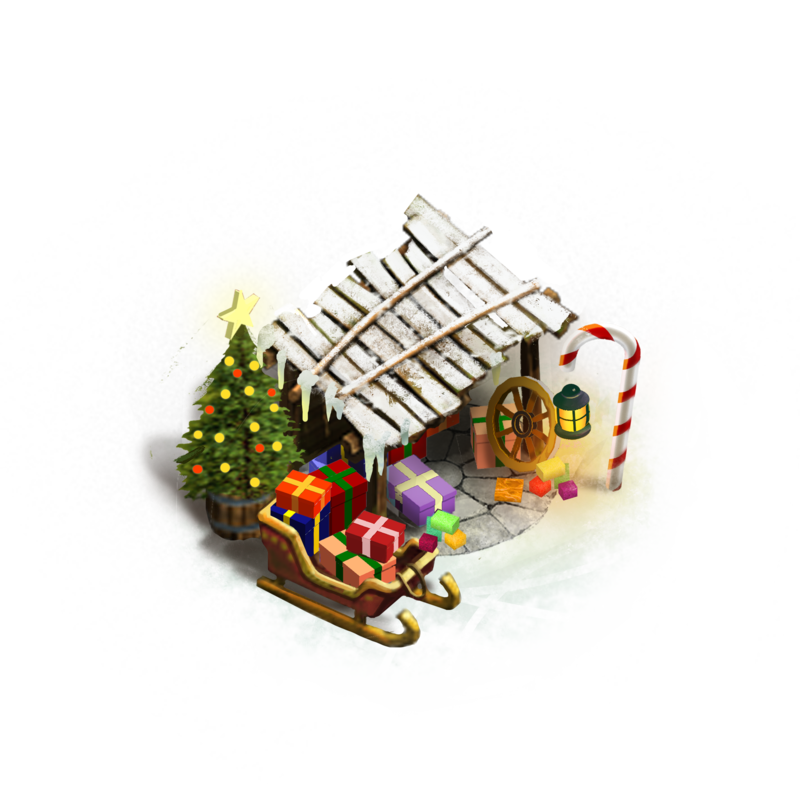 It's now custom for Christmas buff adventures to be hidden behind certain Event Calendar doors. Before you redeem them, make sure you're in good holiday spirits; you'll be helping Santa out by delivering gifts to houses on multiple islands! The buff adventures are balanced for the following level groups which are checked once you open a door: 16-25, 26-35, 36+. There are 6 special adventure doors in the calendar and you needn't use a General, for this Christmas buff adventures require certain types of buffs instead of troops. Special buffs are needed to spread joy which turns sad people into happy ones. You can produce the buffs needed in your Provision House(s). Last edited by BB_Acadma; 05.12.18 at 15:42. 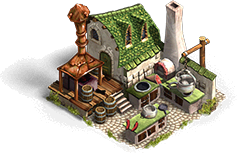 Recipes unlock new permanent production options for your Rarity Provision House. Each recipe can only be acquired once. During the event, all Recipes can be obtained with Presents. You simply need to apply a Recipe on your Rarity Provision House to unlock the new permanent production option. Description: Produces an endless amount of coal as fast as the Epic Woodyard. Also has the production capacity of an Industrial Coal Mine when it's fully upgraded (Level 6). 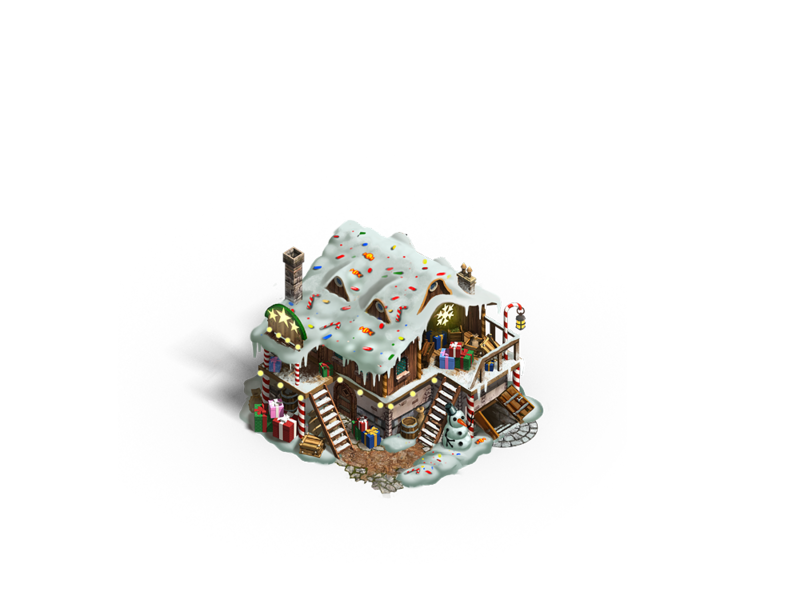 Effect: Sets your Residence/Noble Residence to a "Christmas Look"
Description: Residence for 40 settlers. Star Menu: Goes back to your Star Menu when demolished and loses upgraded levels. 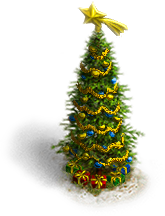 Description: A very nice Christmas tree that can be used to decorate your island! 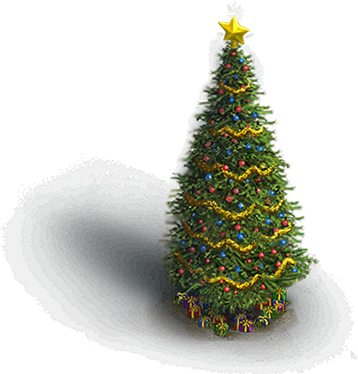 Description: If you would like to decorate your city a little bit more, you can use this animated Christmas tree! Description: Produces unlimited meat without consuming any resources or deposits. Description: Produces unlimited coal without consuming any resources or deposits. Description: Output like a level 5 level Iron Mine, doesn't use a building license. It needs to be placed on a free iron deposit. Star Menu: The building does not go back to the Star menu when demolished/depleted. Description: A second Provision House that allows you to produce special re-fillers and more. *New limit 2018: if you gathered this item last year, you can grab another one this year. 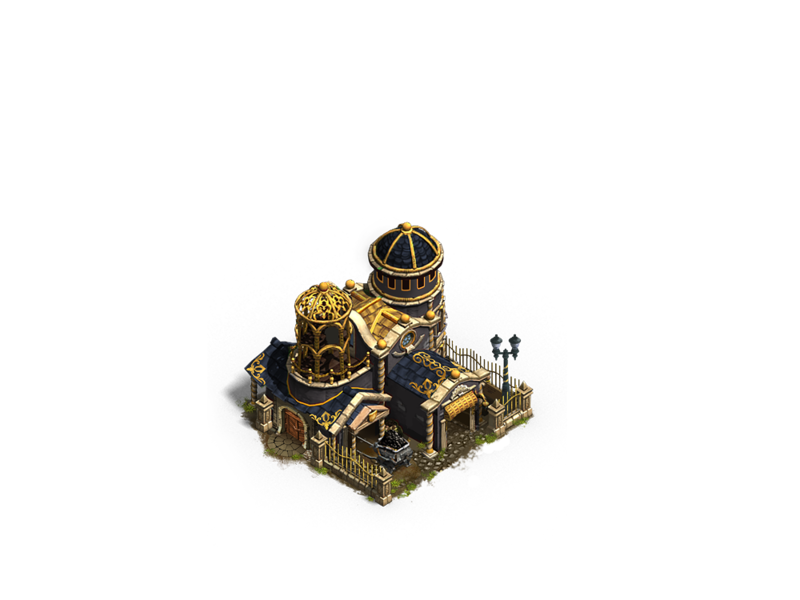 **Buildings obtained from the Event Calendar or Quests do not count towards normal limits. Last edited by BB_Saqui; 10.12.18 at 15:08. 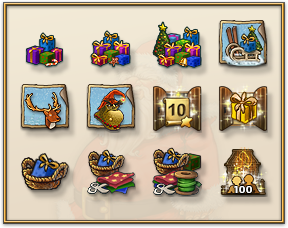 The Christmas Achievements are here once more to offer you an extra source of presents. You can unlock them during this event only. Presents are rewarded for successfully completing achievements; the amount depends on the achievement's difficulty. The core mechanisms of the Event are turned off at the start of the removal phase. The event countdown gets replaced by a new countdown. The new one indicates the remaining time of the removal phase until the event gets completely deactivated. Event scenarios from the calendar are cancelled and cannot be started. Event scenario buffs cannot be produced anymore and can be reimbursed on the Mayor house. You can still play the two shop Christmas adventures. special event related items like Presents are still rewarded. The event Quest chains and Achievements will be deactivated. New Christmas event-related tasks will no longer be triggered. Only completed Christmas event achievements remain visible. All event related collectibles stop spawning. Christmas collectables spawned before the start of the removal phase can be collected. The resources get converted to gold coins later (see event resource conversion). 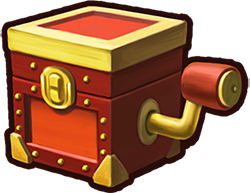 All treasure searches started before the start of the removal phase and returning before the deactivation have the chance to reward event currency. All treasure searches started during or after the start of the removal phase will not reward event currency anymore. 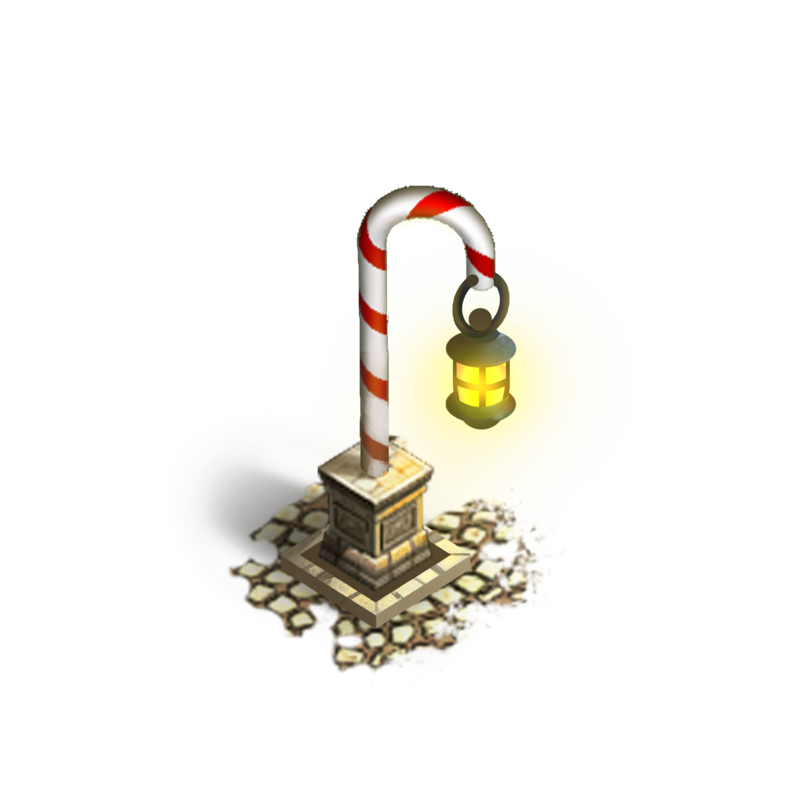 The option to convert Marble and Presents to Granite inside the Mayor's house is no longer available. The event shop remains active and Presents can be used to get special items until complete event deactivation. The event calendar will no longer be accessible. Event-related loading screen, Reindeer, UI skins, the giant Christmas tree and music will be removed/set to default. WHAT HAPPENS AFTER THE DEACTIVATION? New trade offers containing event currency can't be set up anymore. Active trade offers containing event currency are set to invisible. The Event shop category is not available anymore. 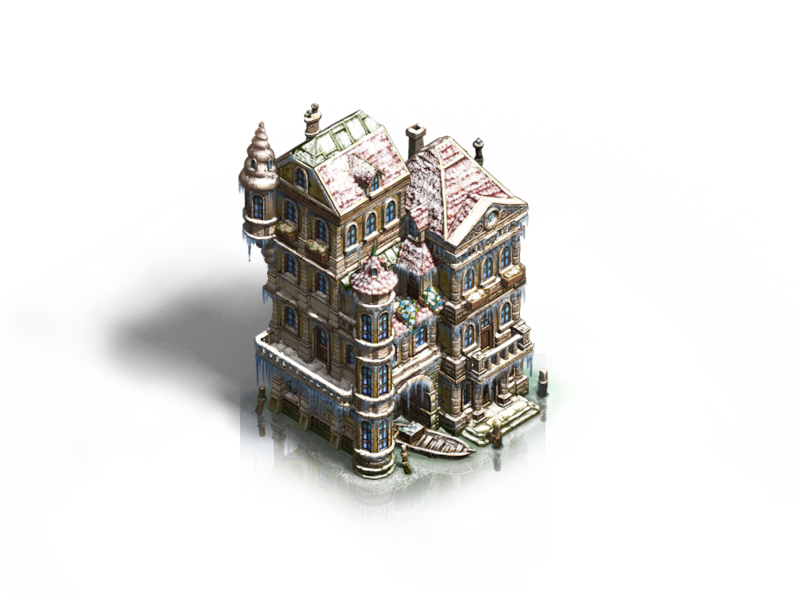 Event currency is not visible in the Mayor's house anymore and will be converted into Coins later. Event currency rewards from adventures are deactivated. This applies to Christmas adventures from the shop. During the event, these adventures drop either buffs or Presents (on top of other loot). With complete deactivation, the chance to get Presents is removed from loot tables. As a result, buffs will always be chosen. Christmas buff adventures from the Event Calendar are changed, too. They reward gold coins instead of Presents. With event resource conversion, the Christmas buff adventures will be deleted, because you cannot finish them anymore. Buffs needed for Christmas buff adventures can no longer be produced. Remaining buffs can be applied on your Mayor's house for a full refund of production resources. As usual, all event-related resources will be converted into gold coins. No event resources are supposed to remain in the game. A script will run during the game update downtime to replace all event resources (especially Presents) with gold coins. Conversion rates: The final amount will be rounded up. There is no action needed from your side, you will receive an in-game message with the corresponding amount of gold coins. The Christmas Scenarios from the calendar will be deleted during the conversion. Last edited by BB_Saqui; 13.12.18 at 12:10. The "Improved Floating Residence" was mistakenly marked as being tradable. This has since been corrected. We're sorry for any inconvenience caused. Removal Phase: 09:00 GMT on December 31st. Deactivation Phase: 09:00 GMT on January 7th.